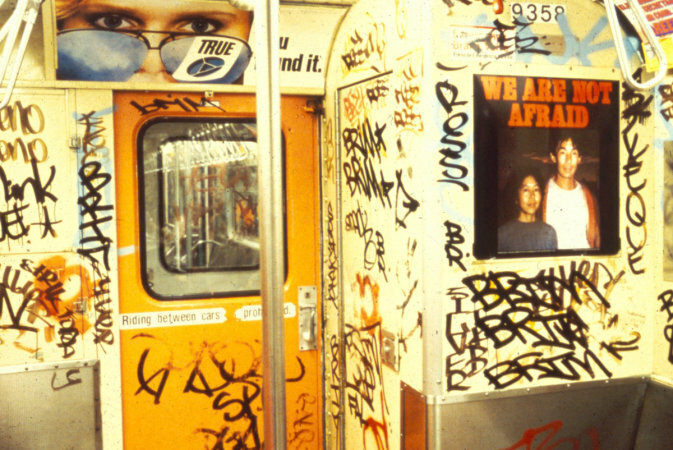 Original Les Levine poster installed in New York subway, 1981. Active radiation dosimeter attached to side of frame. This card can read the amount of radiation exposure in case of an accident or act of war.